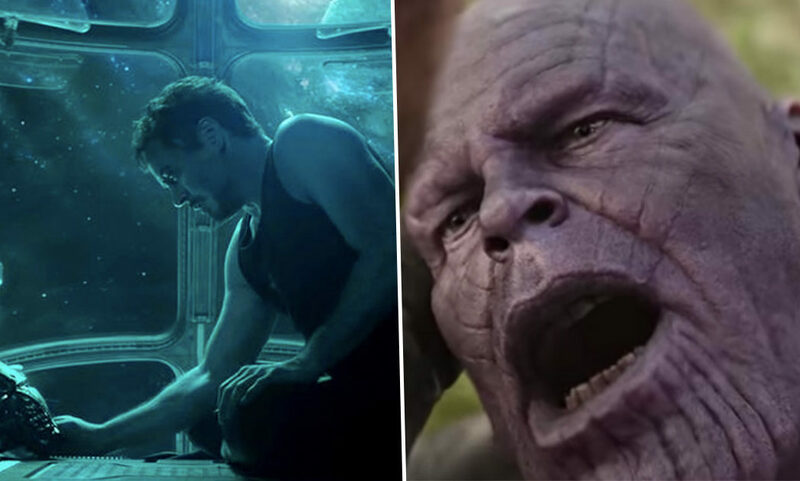 It’s been three days since Marvel Studios unleashed the first trailer for Avengers: Endgame and some of us are still not emotionally coping with it. The heartbreaking ending of Infinity War left us devastated as we saw Thanos wipe out half of all life in the universe, including many of our favourite heroes like Black Panther, Spider-Man and Doctor Strange. While many fans are hoping the next Avengers film will see Earth’s mightiest heroes triumph over ‘The Mad Titan’, thanks to the trailer we know to expect more heartbreak. From Tony sending Pepper a goodbye message saying ‘part of the journey is the end’ to Captain America shedding a tear, Marvel have packed the trailer full with moments to tug on our heartstrings. Bringing to an end Phase Three of the Marvel Cinematic Universe, Avengers: Endgame is the culmination of 22 films released over the past decade. It will undoubtedly be one of the most important films ever made, no matter whether you’re a fan of the MCU or not. The film’s release will mean more to Marvel fans, many of whom have been reacting to the trailer over the weekend sharing their excitement. Some have even been making their own edits of the trailer and while the majority of these are pretty cr*p, one does shine through, giving us all the feels using powerful footage from previous MCU films. While the actual trailer for Endgame is poignant enough, a video edit called (Marvel) Avengers: Wicked Game by YouTube user ‘madxthing’ really does pack an emotional punch. Cutting together footage from the Endgame trailer with scenes from the MCU including Infinity War, Captain America: The First Avenger and Civil War among others, the video reminds us of the journey we have been through with the heroes. At the end ‘madxthing’ rewinds footage from the destructive end of Infinity War while in the voiceover Tony says ‘lets track this from the beginning’ concluding with a shot of what started it all – Nick Fury’s document entitled ‘Avengers Initiative – Preliminary Report’. Also looking to the future, the video includes snippets from the trailer for the upcoming Captain Marvel film teasing her appearance in Endgame. Fans are loving the edit which has so far, at time of writing (December 10), gained over 14,000 views on YouTube. I can’t find the words that would describe all I feel after watching this. It so powerful, and the end was just perfect final to the whole edit. Thank you, that’s exactly what I was needed after new trailer. NOOOOO. MY EMOTIONS. MY EMOTIONS. THIS IS FREAKING DESTROYED ME. Such a beautiful edit. I’m not ready for A4. We hear you xDarkCherryx, we hear you. Avengers: Endgame hits cinemas worldwide on April 26, 2019. Emily Murray is a journalist at UNILAD. She graduated from the University of Leeds with a BA in English Literature and History before studying for a Masters in Journalism at the University of Salford. Emily has previously worked for the BBC, ITV and Trinity Mirror. When Emily isn't writing about topics including mental health and entertainment, you can find her at the cinema which is her second home.